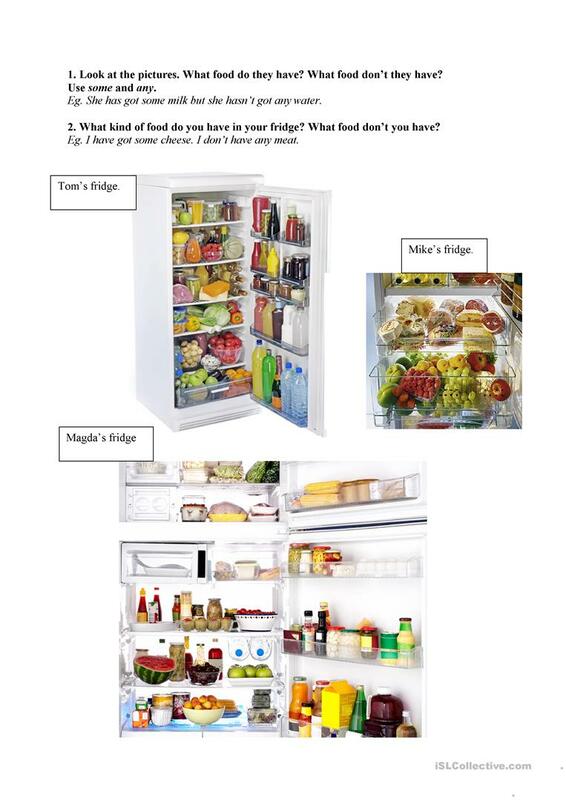 Describng the pictures of fridges. What food do they have? The above downloadable teaching material is a great resource for high school students and elementary school students at Elementary (A1), Pre-intermediate (A2) and Intermediate (B1) level. It is valuable for revising HAVE GOT or HAS GOT in English, and was designed for honing your students' Speaking skills. It is focused on the topic and words of Food.